Disclosure – This is a sponsored post written by me on behalf of Tyson Foods and SheSpeaks. All opinions are entirely my own. WONDER WOMAN and all related characters and elements © & ™ DC Comics and Warner Bros. Entertainment Inc.
One of my favorite benefits of working for the Navy is the ability to put my kids in summer camp on base. The camp is awesome, they have tons of fun activities and the kids have enjoyed going there for the past three years. Of course, active duty military get first dibs on the available camp spaces, as they should, and this year there was simply no room left for my five kiddos so I scrambled to find an affordable option at the last minute with absolutely no luck. I’m VERY lucky to have my parents nearby so the kids are now at “Camp Mamaw” for the summer. 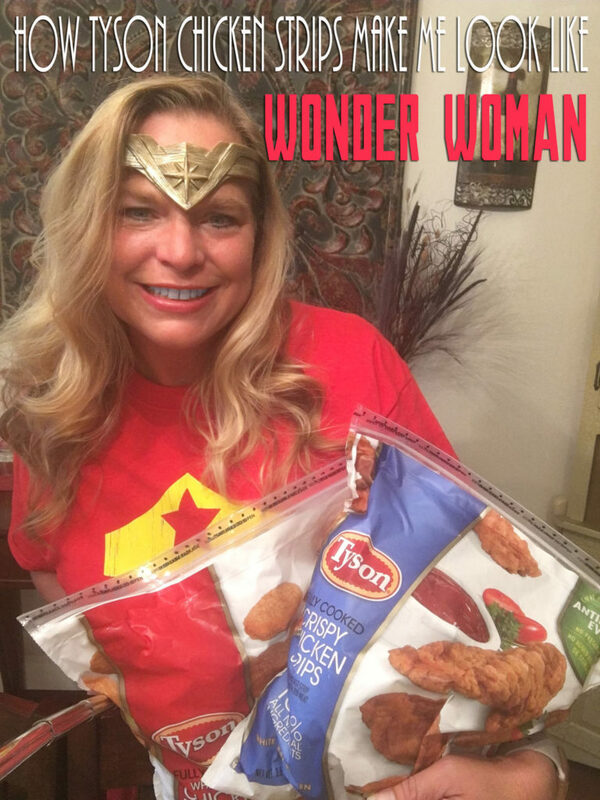 Since the kids were previously provided hot breakfasts and lunches as well as snacks at camp, I suddenly had to come up with some meal plans for the summer and thankfully Tyson® Crispy Chicken Strips and Chicken Nuggets in these club packs at Sam’s Club have made delicious lunches a breeze for my mom to whip up and now I look like Wonder Woman for making it happen!